I haven’t posted much about this class, the 2nd in the Wilton Cake Decorating series. Partly because September has been crazy busy and tiring with back to school, and partly because it was all about flowers and I just wasn’t as into it. But I have to say, I’m glad I took the class. Now I can’t wait for November, when I finally get to take the fondant class! Here’s my final project. 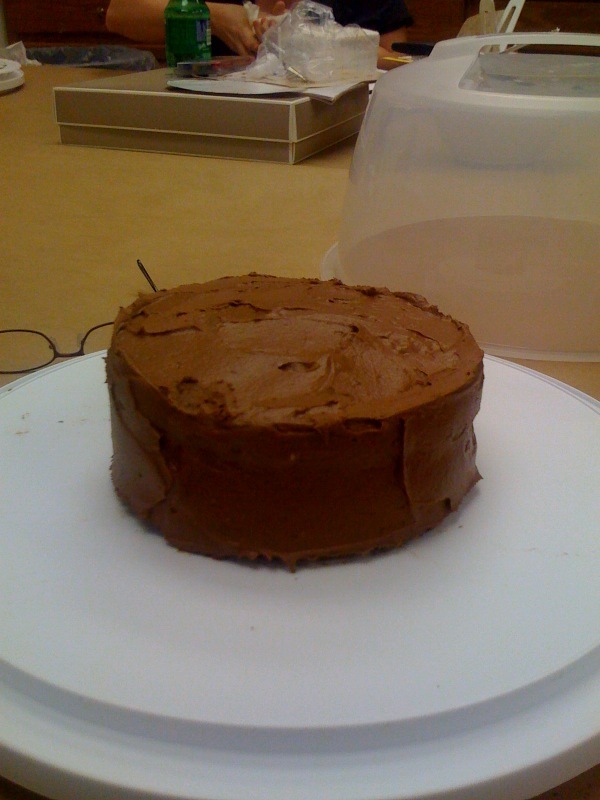 The frosting was leftover from Adam’s birthday cake, and the cake is actually 2 giant Whole Foods brownies stuck together and frosted. I didn’t have time for another cake after last weekend. I also forgot my camera that night, so the photos are off my phone. 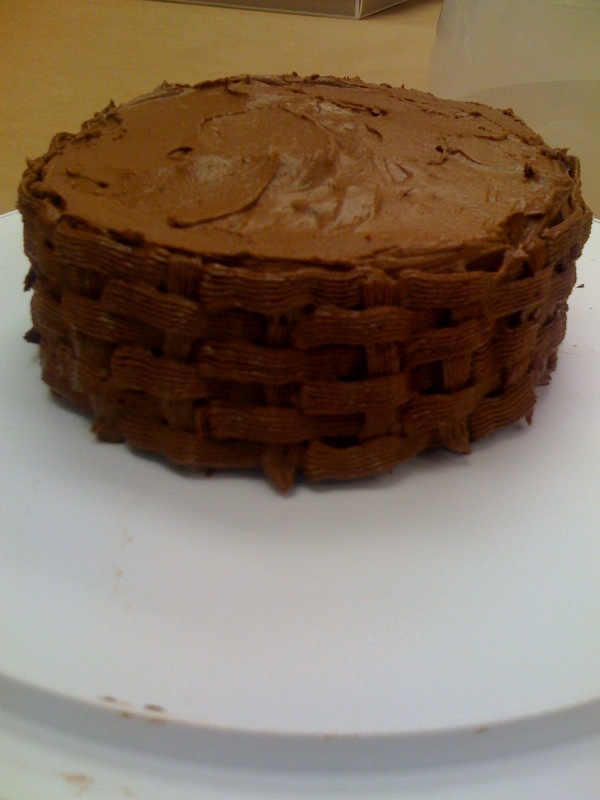 Frosted cake with basketweave pattern. That was kind of cool. 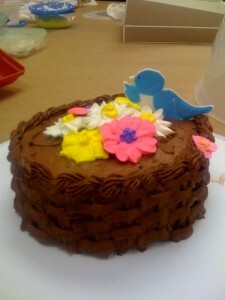 Frosted cake with basketweave pattern, lots of sugar flowers, and a bird donated by a classmate. All done!